Most students undergoing pre-university programmes like Matrikulasi, Form Six, A-Level, Polytechnic, foundation (asasi), diploma or tertiary programmes like undergraduate degree at various universities and colleges or even postgraduates programmes like Master or PhD degrees have already received their Baucar Buku 1Malaysia (BB1M) in March 2016. 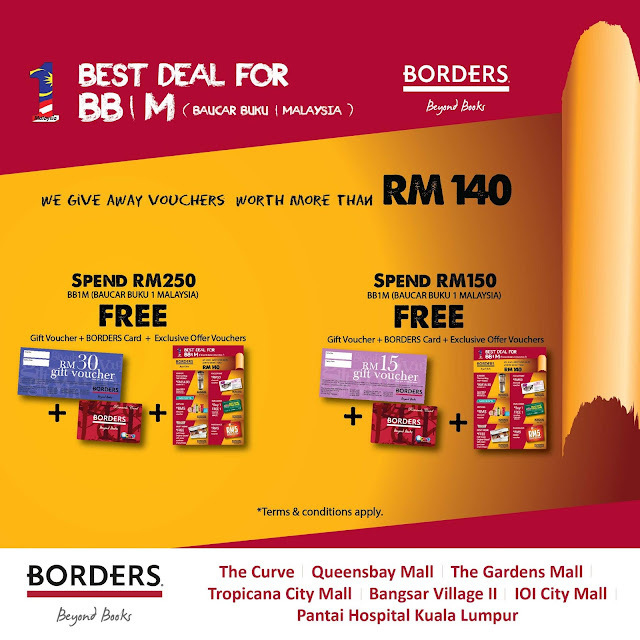 Since the annual distribution of 1Malaysia Book Voucher begun in 2012, various bookstores have taken advantage by having special promotions tailored to the use of BB1M. 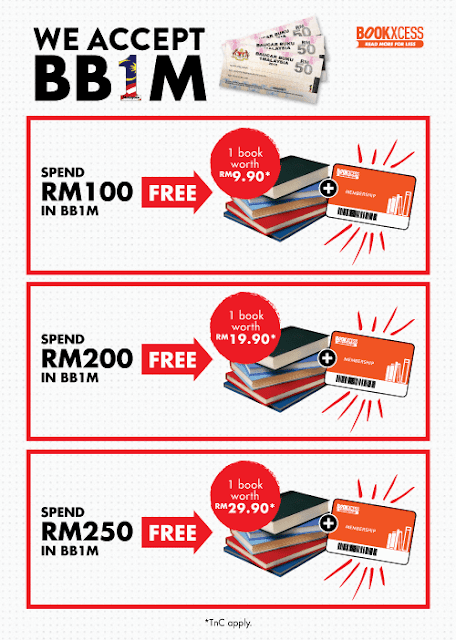 With the increase of BB1M amount from RM200 to RM250 (5 X RM50 book vouchers) in recent years, it is not a coincidence that there are so many book fairs such as POPULAR Bookfair, Big Bad Wolf Book Sale in March and bookstores (national big chain or even small local bookstore) busily promoting their special BB1M promotions. After all, every bookstore wants a slice of the RM300 million allocated in Budget 2016 for BB1M. 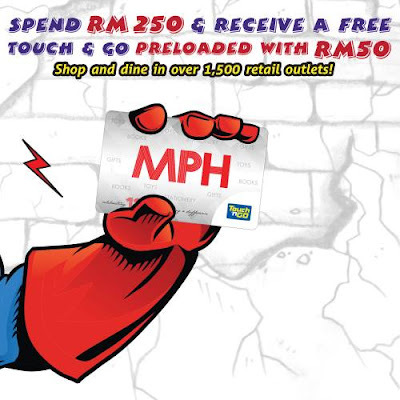 Spend RM250 and get FREE TOUCH & GO card preloaded with RM50 + Free A4 university notebook. (Touch & Go is accepted in over 1,500 retail outlets. Spend RM200 and get 4 x RM5 Book & Stationery Voucher + Free A4 university notebook. Spend RM150 and get 3 x RM5 Book & Stationery Voucher + Free A5 university notebook. Spend RM100 and get 2 x RM5 Book & Stationery Voucher + Free A5 university notebook. Many smaller bookstores or businesses illegally offer to purchase your BB1M vouchers with cash. For example, they will pay you RM200 in cash to purchase your RM250 BB1M vouchers. After that, they will claim RM250 from the government using the vouchers. In order words, they sell nothing (no physical book or anything) but earn RM50. This seems like a good business for the small bookstores and tempting bargain for students with BB1M book vouchers. 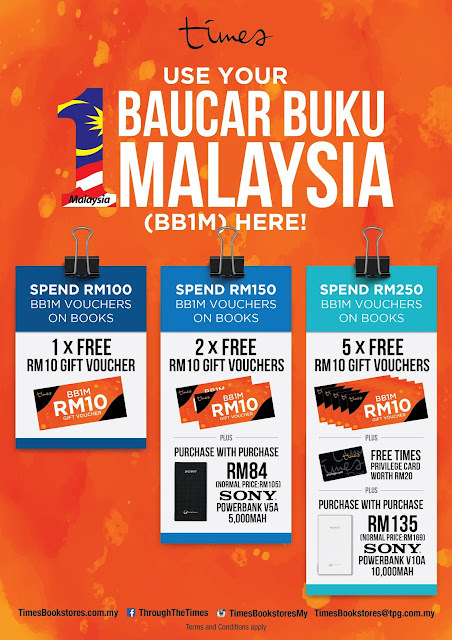 However, we just want to remind you that BB1M vouchers should never be used this way, or you might get caught. It happened in previous years if you check the news. In fact, this year the authorities have already started tracking the illegal buying and selling of BB1M book vouchers. 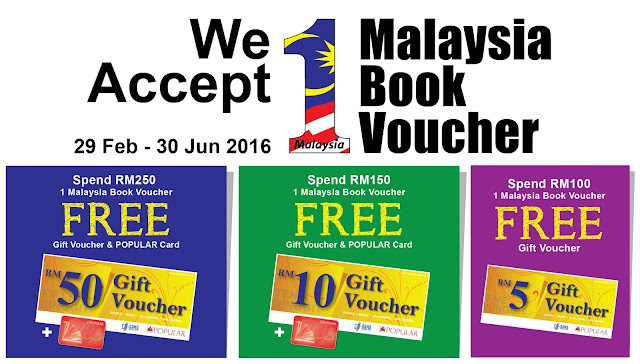 One more thing, remember to use all your 1 Malaysia Book Vouchers by 30 June 2016 (Update: extended to 31 July 2016) before they expire!